Beautiful and charming hands create a good impression. But people often suffer from dry hands. Dry hands do not look well and it creates other problems too.There are various home remedies to treat dry hands that can be done with easily available home products. This article will help you to take the proper care of your hands with kitchen products. Milk is a good natural product to cure the excessive dryness of hand. Take some butter milk and then soak your hands in it for 10-15 minutes.Then wash your hands with plain cold water. Mix almond oil and olive oil in 1:1 ratio. Then massage it on your hands properly. Give special attention to in-between fingers and on areas around your nails. After massaging, wash your hands with warm water. . Pat them dry lightly so that your hands remain damp. Take 2-3 tablespoon of mustard oil or coconut oil. Mix few drops of water with it. Then massage the oil on your hands.You need to mix water because water helps your skin to absorb the oil properly. You can solve the problem of dry hands in this way. Soak some oatmeal in a cup of milk to get soft. Then apply that soft oats on your hands. Wait for 10-15 minutes and then wash your hands with plain water. Take ripe banana. Then mash it. Apply that banana on your hands. Wait for something and then wash your hands with plain water. Practice this method regularly and then get a soft and oily hand. Slit one aloe vera tube and remove the gel. Mash it and apply it on your hands. Do this regularly and get a soft hand. Steaming is excellent to cure dry hands. Take a bowl of hot water. 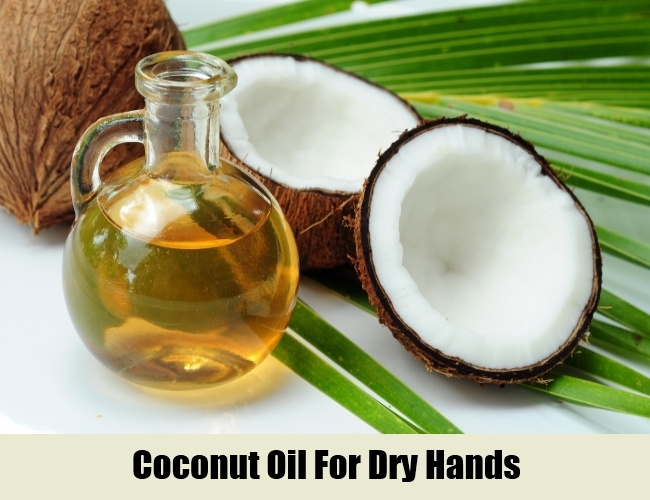 Pour few drops of coconut oil in the water and massage few drops of same oil on your hands. Place the hands on the water so that the steam that is emitting from the boiling water may create sweat. Cover your hands with a heavy towel. Steam your hands for 10-15 minutes. Then wipe the sweat gently from the hands. Mix honey and yogurt in equal amount. Apply that on your hands. Wait till it gets dry. Then wash your hands with cold water. You will get benefit. A weekly mask for hand is necessary to treat the dry hands. To make the mask mix chickpea powder, milk, olive oil, rice powder and aloe vera gel. Mix properly and apply that on your hands in thick layer. Wait for 20-30 minutes. Then massage your skin in a round about way. This helps to remove dead skin from the upper layer of the skin and your skin gets chance to breathe. A proper oxygen supply in skin enlivens it and cures all types of problem. Fuller’s earth is an excellent natural product to cure dry hands. Mix fuller’s earth in rose and coconut water. Apply that on your hands. Leave it to dry. Then sprinkle water and massage in round about way. Practice this method regularly and get soft and supple hands. While doing al the types of domestic works such as washing, cleaning, gardening, etc. wear a pair of gloves to cover your hands. Restrict the use of soap, detergent and water. Follow these tips and get a pair of beautiful hands naturally.